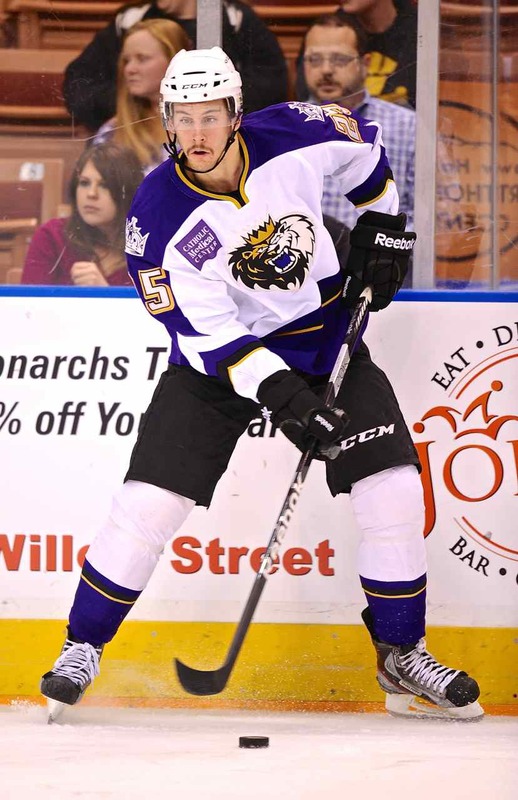 Los Angeles Kings right wing prospect Scott Sabourin, shown here with the Manchester Monarchs of the American Hockey League. LOS ANGELES — As reported on November 13, Los Angeles Kings right wing prospect Scott Sabourin made quite the impression on the Kings’ brain trust with his strong, surprising performance during rookie camp and training camp last September. Sabourin was invited to the Kings’ training camp on a tryout basis after being signed to an American Hockey League deal by the Manchester Monarchs (Kings’ primary minor league affiliate, and for all intents and purposes, he came out of nowhere, almost literally. Indeed, Sabourin’s journey through two seasons in Tier I Junior A hockey, before playing three seasons with the Oshawa Generals of the Ontario Hockey League, was not the usual road most Canadian players take to try to make it to the National Hockey League. Nevertheless, he made the best of his situation, and made a strong impression on the Kings during rookie camp and training camp last September. But that did not mean he would lock up a spot on the big club’s roster, and, as expected, he was assigned to the Monarchs on September 21, 2013. 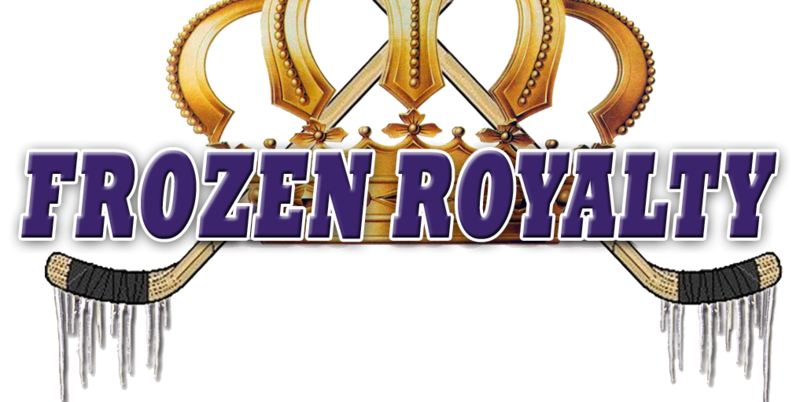 Despite that, the 21-year-old, 6-3, 203-pound native of Orleans, Ontario wowed the right people enough times and he was rewarded with a three-year, entry-level contract with the Kings on October 7, 2013. Sabourin is now playing in his first full season in the AHL, and through eleven games, he has scored a goal, and has contributed an assist. He has a -3 plus/minus rating, to go along with 23 penalty minutes. Although Sabourin’s numbers are not out of line with what one might expect from a checking forward, they do not tell the whole story. Indeed, like so many young prospects just starting their professional careers, the adjustment from major junior hockey in Canada to the professional ranks has been challenging for him. Four games, to be exact. Sabourin knew he was not going to make the Kings’ roster this season. Despite that, it has taken too long for him to look away from the glitz and glare of the bright lights of Los Angeles, so to speak. Sabourin indicated that he is starting to feel better and more confident on the ice. Morris said that Sabourin is starting to make the necessary adjustments. Morris does not appear to be overly concerned about Sabourin’s slow start. Despite the tough sledding, Sabourin appears to have a good perspective on the task at hand. During the Kings Rookie Tournament and in pre-season games a couple of months ago, Sabourin showed that he could duke it out with the opposition’s tough guys, and he is not shying away from the rough stuff in the AHL. As for the parts of his game that need the most work, again, like so many young prospects, Sabourin pointed to his skating and defensive play. Morris indicated that Sabourin’s skills are apparent, despite the fact that he is in a checking role. Morris also said that Sabourin might have the potential to earn a top six spot on his team—not necessary at the NHL level, mind you. On the ice, Sabourin spends much of his time with line mates Rob Czarnik and Hunter Bishop or Maxim Kitsyn (Czarnik and Kitsyn are Kings prospects). But off the ice is a little different. Major junior hockey players in Canada live with a billet family, or their own family, so they mostly get to focus on hockey—no laundry, cooking, little cleaning. But once they go pro, all that changes. From that comment, you might guess that cooking isn’t exactly Sabourin’s forte. Making a meal is one thing. But does he have any dishes that he is good at preparing? Makes you wonder what Forbort and Shore do, or where they go, for that matter, when Sabourin is cooking.